Can you imagine sitting down at a table with C.S. Lewis, Dietrich Bonhoeffer, and James Earl Massey? What if fourteen other theologians—some living, and some who have passed on—also sat at the table and began discussing the major subjects of Christian theology? And what if they all spoke in down-to-earth terms everybody could understand? 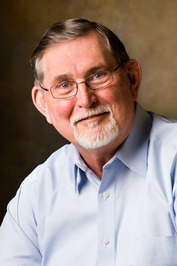 Church of God author and theologian Barry Callen has just released a revised edition of a book that makes it all possible. In Heart of the Matter, Callen serves as moderator for eleven frank conversations imagined as they would have taken place had all seventeen theologians ever been in the same place at the same time. Never speaking above anyone’s head, Callen ensures the dialogue is practical yet accessible. Remarkably, the differing conclusions from a wide variety of theological perspectives always point back to the heart of the matter. James Earl Massey is no stranger to the Church of God. In Heart of the Matter, he represents the Church of God and takes the role of the local church pastor. Such a role is needed in a discussion like this, for at the precise moment when these academics get too scholarly or technical, Massey brings the topic back down to earth. Not only that, he introduces the practical. So what? Why does a certain belief about God and his church matter to the person-in-the-pew? What application does it have? Also among the prominent theologians featured in this book are Henry Nouwen, Georgia Harkness, Donald Bloesch, Geoffrey Wainwright, Rosemary Ruether, Roger Olson, Thomas Oden, Jürgen Moltmann, Thomas Merton, Clark Pinnock, Elton Trueblood, James Cone, and John Cobb. The voices represent a diversity in not only theology, but also ethnicity and gender. Even in a figurative room filled with leaders that reflect the spectrum of faith background, histories, and culture, Jesus is the heart of the matter. Jesus is the subject. Witness the fascinating conversation unfold before your very eyes. Pick up a copy of Heart of the Matter at www.amazon.com. Be sure to select the revised edition! Learn more about the Church of God at www.JesusIsTheSubject.org. 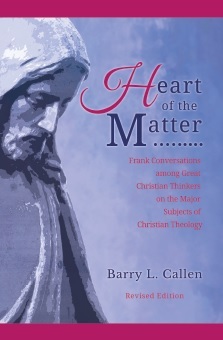 This entry was posted in All Church of God and tagged author, Barry Callen, book, conversation, discussion, Heart of the Matter, Jesus Is the Subject, theologians, theology. Bookmark the permalink.